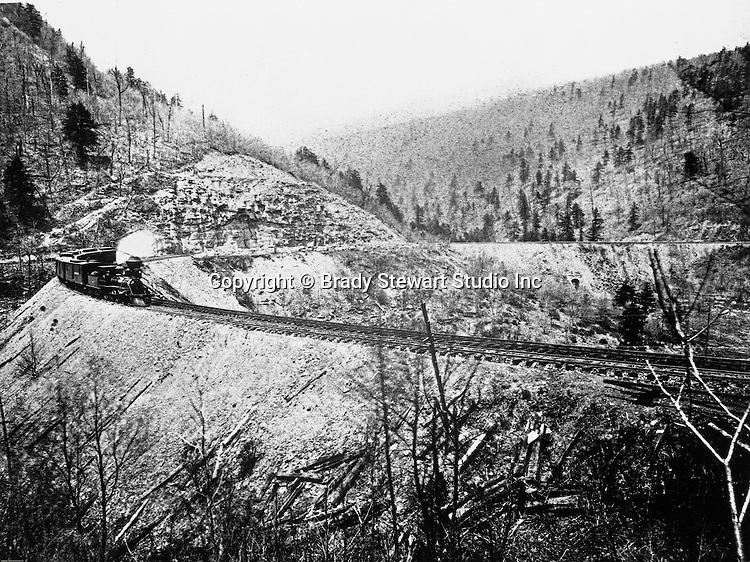 Altoona PA: Brady Stewart went to Altoona Pennsylvania during the winter of 1903 and took this photograph of the famous Horseshoe Curve - 1903. Called an "engineering marvel", it was completed in 1854 by the Pennsylvania Railroad. It was later used by the Penn Central, then Conrail, and is currently owned and operated by the Norfolk Southern Railway.